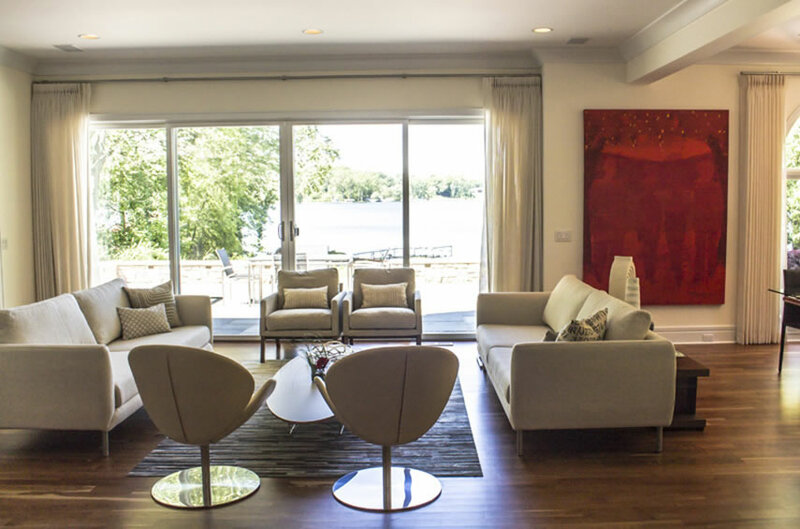 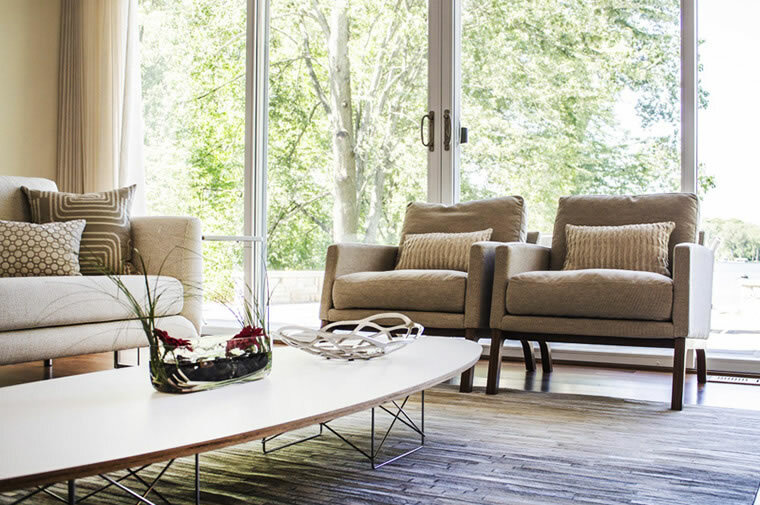 A renovation to make this home more closely reflect the owner’s personal style involved reconfiguring space and redesigning rooms to maximize lake views. 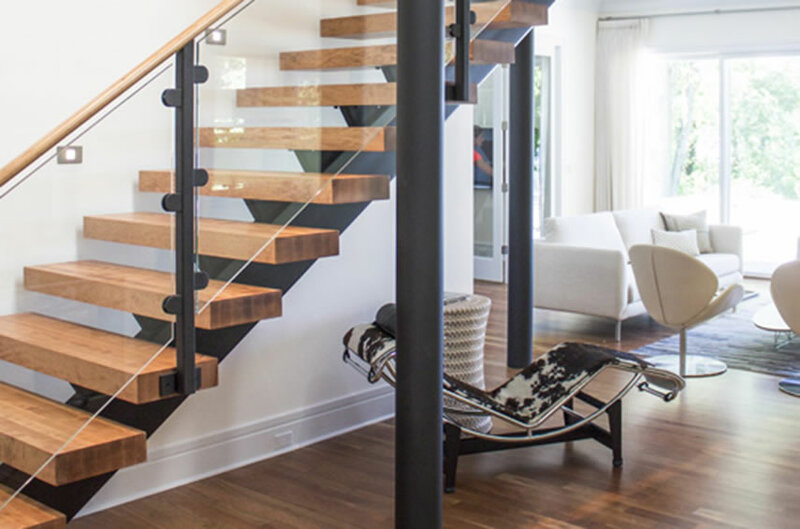 The stunning result is a much airier and more modern home featuring an open foyer with floating staircase, a redesign of the living and family rooms, and the addition of oversized sliding doors. 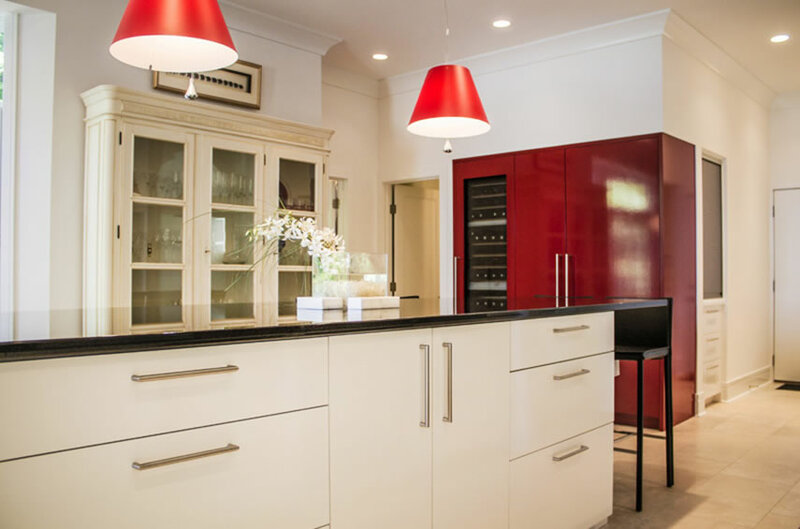 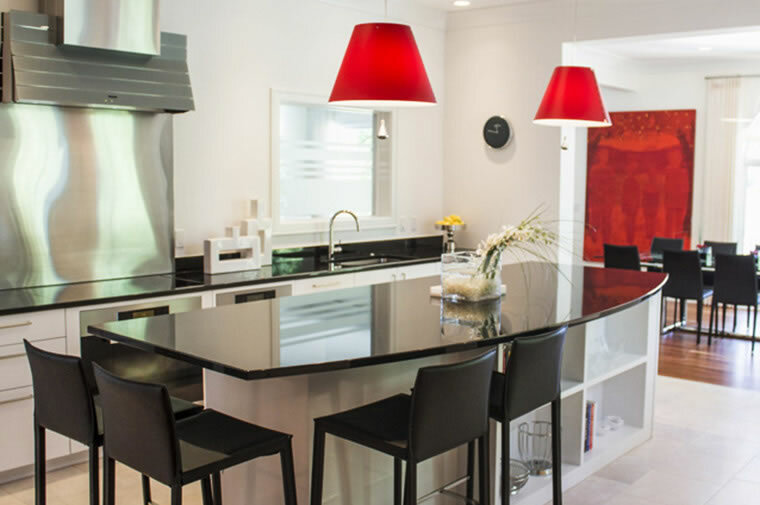 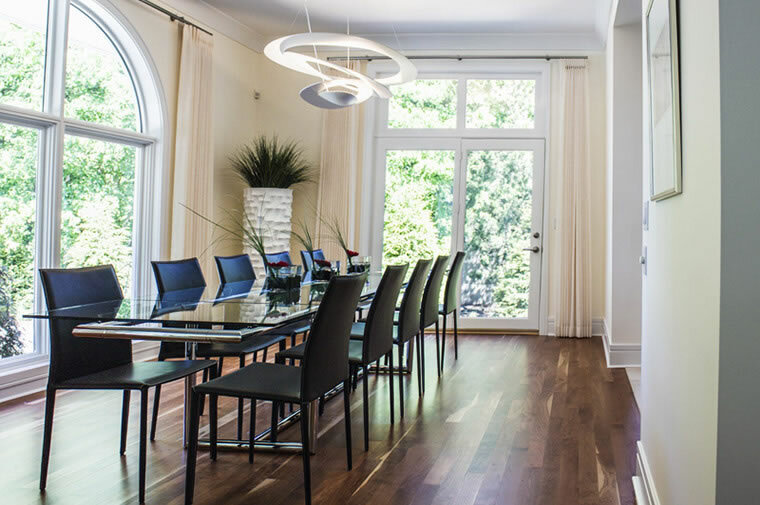 To better entertain family and friends, a custom chef’s kitchen was created and the dining area was expanded. 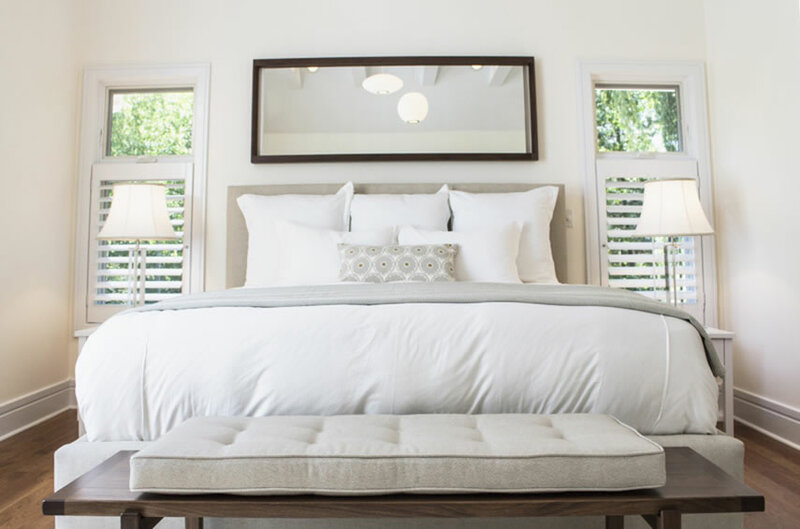 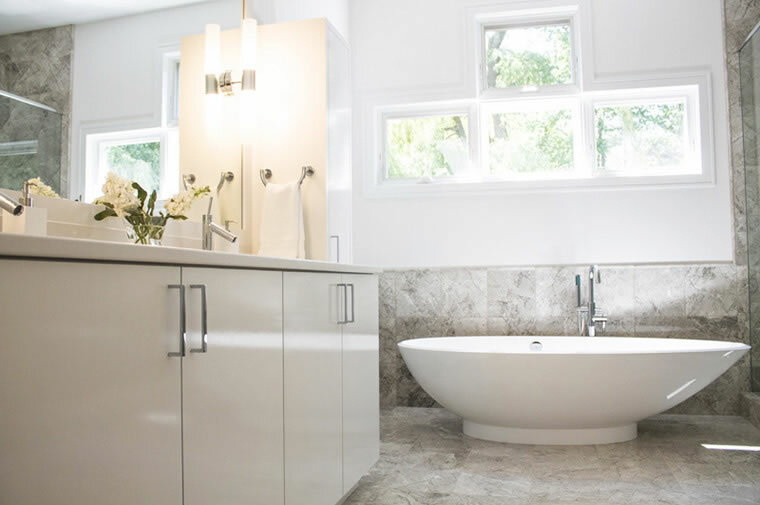 The all-new, private master suite features a large bedroom with exposed beams, a one-of-a–kind closet, and a master bath with a euro shower, bidet, marble floors, freestanding tub, and glass shower.